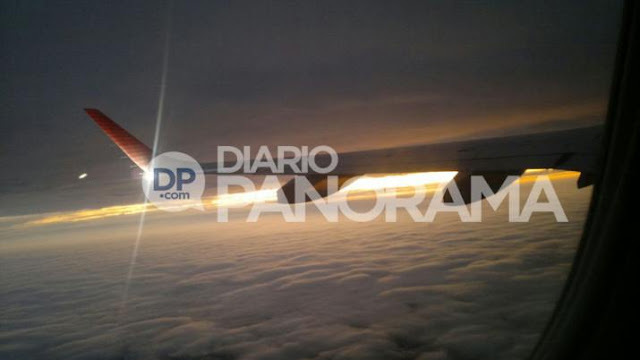 UFO SIGHTINGS DAILY: Argentina: UFO Photographed During Flight to Santiago del Estero, May 2016, UFO Sighting News. Argentina: UFO Photographed During Flight to Santiago del Estero, May 2016, UFO Sighting News. This sighting over Argentina last week is more proof that UFOs like to take close flybys of passenger jets whenever possible. The scan the aircraft and the passengers, and I believe that they can even remove, examine, then place back on the plane the passenger of their choice. Marcelo Quiroga is a resident of Santiago del Estero who was returning home after a trip through the Province of Buenos Aires. Before arriving in Santiago, he was startled by a strange object prowling the skies. 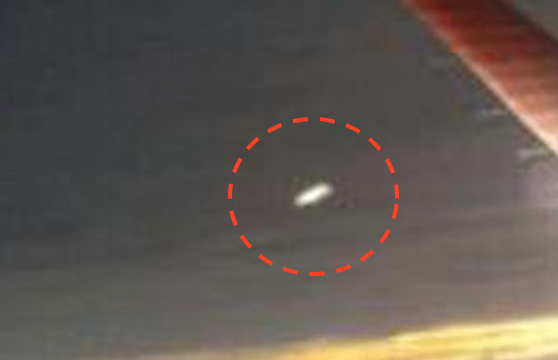 Through Diario Panorama's WhatsApp account, Marcelo said the following: "A UFO! Can you believe it? It was on Friday, May 6, on my return to Santiago, approximately 10 minutes before landing." He then said that the photos were taken between 18:25 and 18:38 hours. Could it be possible?